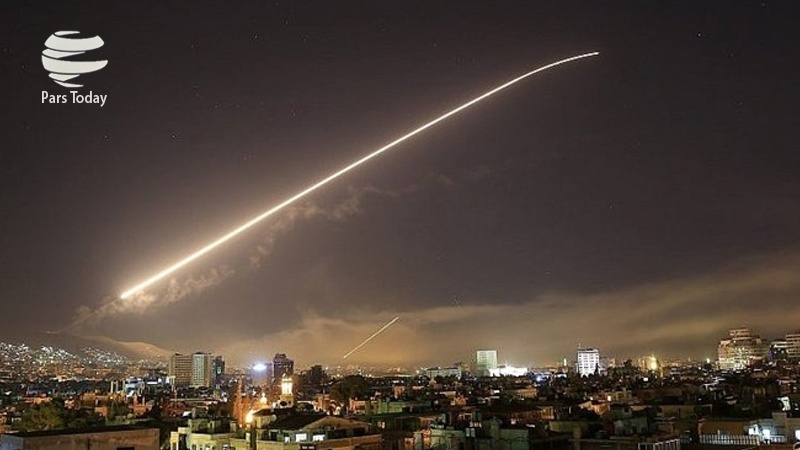 Syria’s state-run al-Ikhbariyah Syria television news network said that air defenses had intercepted the targets in the skies over the western outskirts of Damascus. The report added that the projectiles had flown over the Lebanese territories, suggesting that they had been most likely launched from Israel. A witness said the sound of loud explosions echoed through Damascus. Lebanese media outlets reported that residents near the border with neighboring Syria said the sound of planes could be heard in the sky. There are reports that the explosions took place around the Mezzeh Military Airport west of the capital and in the areas of Kesawa and Jimraya, which are located northwest of Damascus. The development came only two days after Israeli Prime Minister Benjamin Netanyahu said that US President Donald Trump’s decision to withdraw American troops from Syria will not affect the Tel Aviv regime’s policy toward the war-torn country. “The decision to withdraw 2,000 US troops from Syria will not change our consistent policy: We will continue to act against Iran’s attempts to entrench itself militarily in Syria, and to the extent necessary, we will even expand our actions there,” Netanyahu said. On November 30, Syrian air defenses were activated against several missiles, which were aimed at the city of al-Kiswah, located approximately 13 kilometers (8 miles) south of Damascus. They “were able to foil its goals despite the intensity of the aggression,” Syrian state media said at the time. Israeli media claimed that Iranian military advisers as well as fighters from Lebanese resistance movement Hezbollah were the main targets in the attack. Israeli regime’s officials argue that Iran’s presence in Syria, which is part of an advisory mission requested by the Damascus government, poses a threat to the Tel Aviv regime’s security. The Israeli military, using this pretext, has pounded alleged positions of Iranian and Iran-backed forces across Syria over the course of the seven-year conflict.